McLaren's Emerson Fittipaldi beat Ferrari's Niki Lauda by a matter of feet at the Belgian Grand Prix, after a close race that came to life in the final half hour. Clay Regazzoni led away from the start with Jody Scheckter and Fittipaldi in close pursuit. The Brazilian made his move for second place at the end of the first lap, but was baulked behind Regazzoni's Ferrari as the top six formed a high-speed procession. Lauda soon moved up to third, but when the leaders came across backmarkers he quickly lost the position back to Scheckter. Undeterred, and in the faster car, he picked off Scheckter for the second time and set his sights on Fittipaldi. Race leader Regazzoni then had his own problems with backmarkers and lost first and second places to Fittipaldi and Lauda as he ran wide. 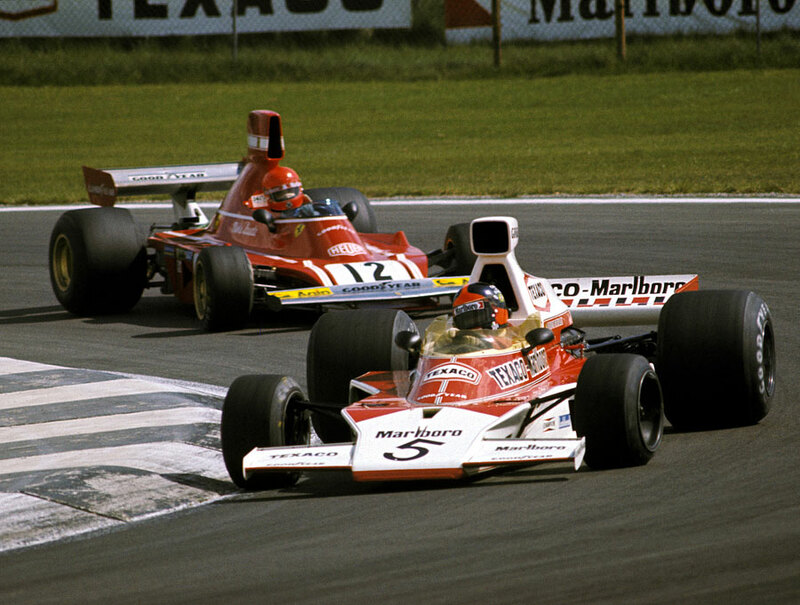 From that point onwards it was between the lead two and, despite a lunge from Lauda on the last lap, Fittipaldi held on to take victory. He said afterwards: "I think it was my closest win ever." Forty seconds behind, Regazzoni's car started stuttering on the final lap and he coasted across the line, allowing Scheckter to take advanatge and pip him to the post for third. James Hunt had been locked on for a solid fifth place in his Hesketh, but on lap 46 his rear suspension collapsed and he was lucky to walk away from the accident unharmed. His car slid sideways for 200 yards before coming to a rest against a verge relatively undamaged. "I was accelerating to 160mph when it happened," he said. "I could do nothing about it."